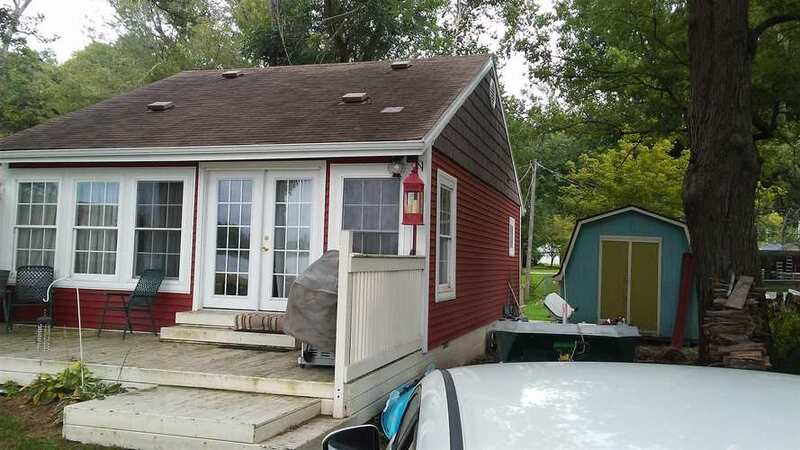 Priced to sell, this small cozy Lakefront home could be the perfect getaway or year round home. Newer windows provide an entire front view of the lake and beautiful sunsets. New siding and insulation. There is a designated lakefront area for a pier and boat parking. Channel access in the rear. You have to see it and rest on the deck, to enjoy the serenity of lake living. Directions:From Warsaw - Lincolnway (old 30) to 900 E, R on Adams Rd, L on R4 to R4E, 1st left after curve to the lake, then curve to the right.